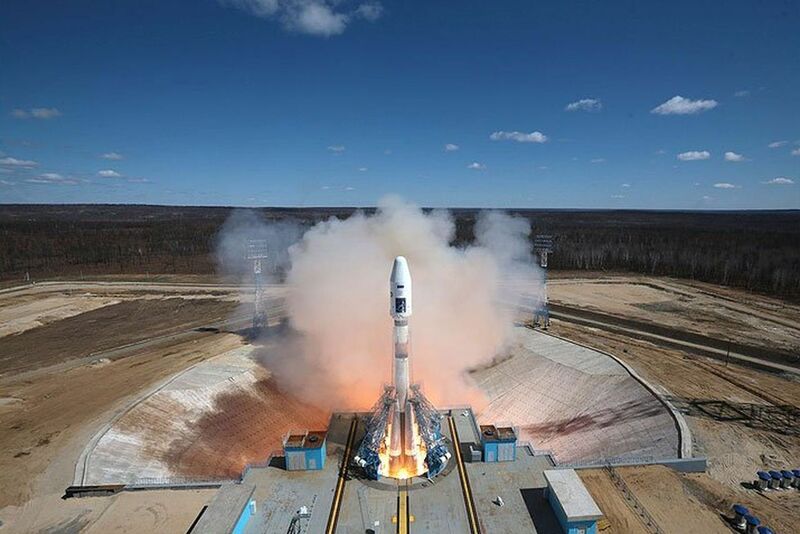 Russia launched its first rocket from a new cosmodrome on 28 th of April 2016, a day after a technical glitch forced a postponement of the event in a sign of continuing crisis in the nation's space industry. An unmanned Soyuz-2.1A rocket, carrying three satellites, roared into a clear blue sky from the launchpad at Vostochny cosmodrome in the remote Amur Region near China's border at 0501 Moscow time (0201 GMT), state television showed. The satellites separated from the rocket's third stage about nine minutes into the flight and headed for their designated orbits, Russian news agencies quoted officials from the space agency Roscosmos as saying. "I want to congratulate you. There is something to be proud of," Putin told cosmodrome workers and Roscosmos officials after watching Thursday's launch at Vostochny, Russian media reported. "The equipment overreached itself a little bit yesterday," he said. "In principle, we could have held the launch yesterday, but the equipment overdid its job and stopped the launch. This is a normal thing." His remarks contrasted with his tough words after Wednesday's aborted launch, when he criticized Roscosmos and government officials for the large number of technical problems in the space industry, saying that "there should be an appropriate reaction". World chess champion Vishwanathan Anand receive 2016 Hridaynath Mangeshkar Award.